A paper named “Technological foundations of the current Blogosphere” has been accepted in the International Conference on Web Intelligence, Mining and Semantics (WIMS’12), to be held on 13-15 June 2012 in Craiova, Romania. Identifying and quantifying the use of technologies such as web standards, adopted services, file formats and platforms. Comparing the results with existing findings from the generic Web to identify similarities and differences in the Blogosphere. The presented work was performed as part of BlogForever (ICT No. 269963), an EC funded research project aiming to aggregate, preserve, manage and disseminate blogs. The results of this study are relevant within the context weblog preservation and weblog data extraction. Finally the first software delivery in the Blogforever project is available – the prototype of a blogosphere spider. 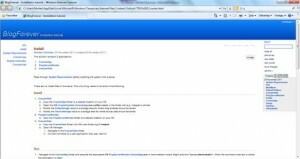 The spider enables crawling and monitoring lists of identified blogs as well as new, unknown blogs. ItThe Any new blog posts or comments from each blog will be added to the feed through the spider. The spider can be downloaded and run from a single server; and managed through a web portal interface, as seen in the figure below. Figure 1 -Spider portal: Details linked from any of indexed sources can display crawled XML, and link to actual HTML. Although this is only the first prototype of the research project, we have tested the prototype through crawling 36,000 distinct blogs, and extracting blog data of approximately 1GB. The prototype spider can be downloaded and run from: http://bf2.csd.auth.gr/BFCrawler.rar. Anyone interested in blog crawling should test this and contact us for discussing further requirements and usage. The 2nd BlogForever Consortium Meeting took place during 8-9 September in Thessaloniki, Greece. 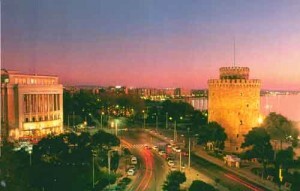 Nineteen participants from twelve institutions came to Thessaloniki to discuss about BlogForever. Current progress was evaluated and the project roadmap was laid down. Weblog Structure and Semantics (WP2) was one of the main sessions of the meeting, covering recently submitted BlogForever Survey and the pending Blog Data Model. The BlogForever Policies (WP3) section of the meeting covered work on Risk management as well as the Preservation Policy. 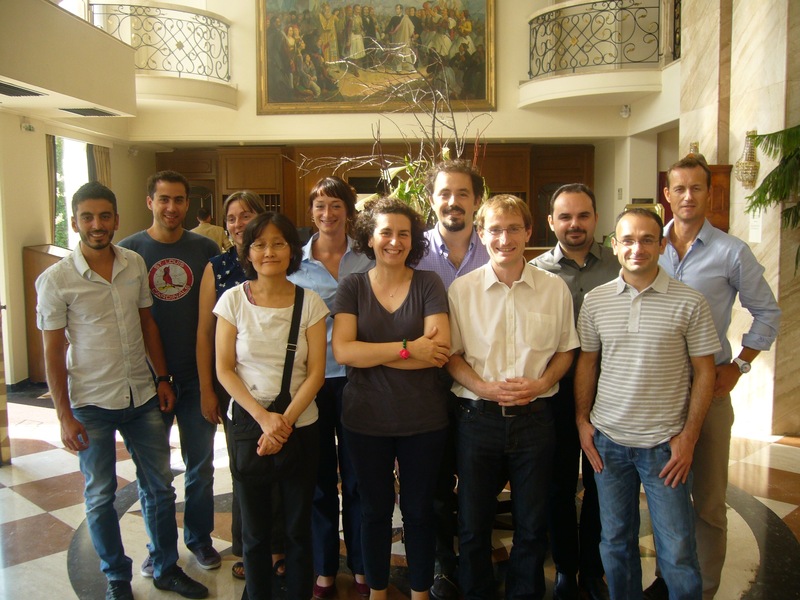 In the BlogForever software platform (WP4) session, work on User Requirements & Platform Specifications was evaluated. Additionally, a special technical session explored possible ways of designing & developing the BlogForever Platform. Last but not least, the dissemination plan & associated activites were presented in the Dissemination & Exploitation (WP6) session. Besides BlogForever partners, Carolyn Hank was also invited to present her work on Blog Preservation and contribute to expanding the spectrum of the project. 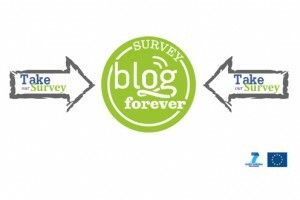 The BlogForever survey is live! The kick-off meeting will be held in Warwick, UK on the 22nd and 23rd of March 2011 and the administrative workshop (for those who need it) will be held on the 21st of March. BLOGFOREVER will develop robust digital preservation, management and dissemination facilities for weblogs. These facilities will be able to capture the dynamic and continuously evolving nature of weblogs, their network and social structure, and the exchange of concepts and ideas that they foster; pieces of information omitted by current Web Archiving methodsand solutions.